When you use different backup solutions, keeping things neatly organized can become frustrating. At first, everything seems easy. The wedding image goes to Azure, that document goes to Amazon, and your vacation video goes to Google Cloud, but things can go downhill quite quickly. As soon as you start backing up a lot of files, you’re done for. That’s what Cloudberry Backup aims at solving. Cloudberry Backup is – well, you guessed it – a backup solution provided by Cloudberry Lab. While other services focus on providing the storage space for your files, Cloudberry wants to take the heavy lifting off your shoulders and take care of the organization for you. 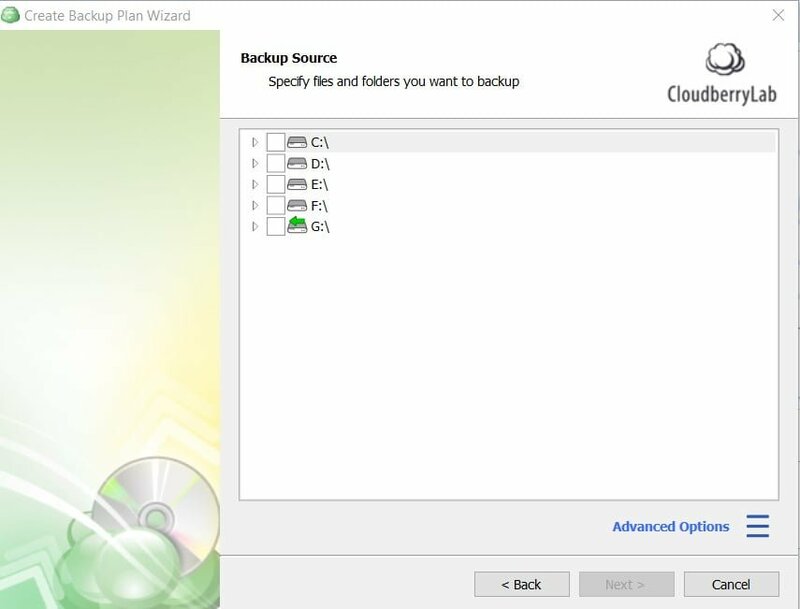 What Is Cloudberry Backup Ultimate, Anyway? From the Cloudberry website, you can either download a free trial version or purchase the license directly, both of which are pretty straightforward processes. No credit card is required for the trial, so don’t hesitate to give the platform a test drive before getting your wallet. Once you finish the installation, you’ll be asked to choose between four options: use the ever-free home edition, run the 15-day trial, activate the commercial license, or run the app in restore-only mode. 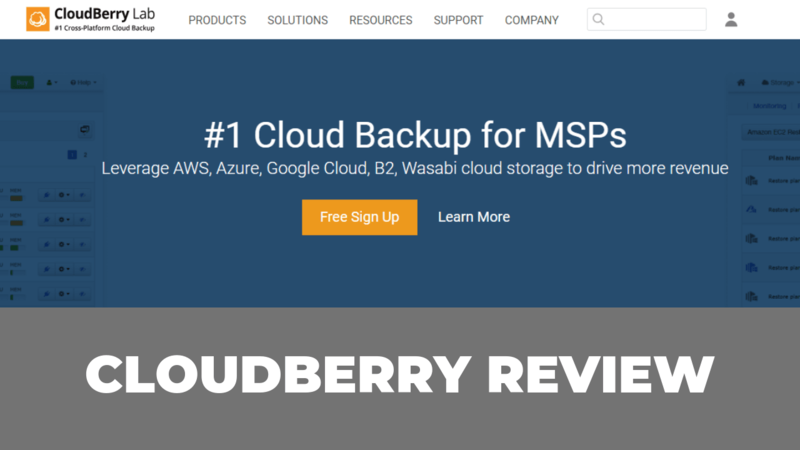 Giving the users the ability to restore their backups without a commercial license is a nice move from Cloudberry, and we can think of different situations where that would be extremely helpful. After activating your account, a new window will open, which will display the main dashboard of the Cloudberry backup Ultimate app. To be honest, the panel looks so 2010, nothing eye-candy-ish here. The design isn’t modern, but as they say, if it ain’t broken, there’s no need to fix it. Besides, the interface looks clean and is easy to navigate and use, so we have no complaints here. After playing around with the dashboard, the first thing you need to do is create a backup plan for your files, System files, MS SQL server, or MS Exchange server. Upon choosing the backup plan type, you’ll need to select whether you need a direct or a hybrid backup into your local or cloud storage. 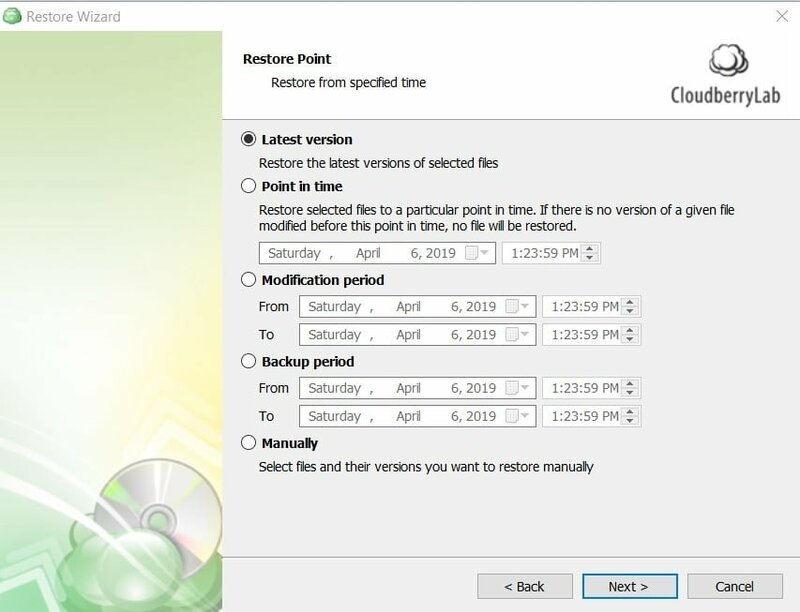 The hybrid backup option is another feature that we dig, as you can keep a local backup for fast restores as well as a cloud-based one for DR purposes. Finally, you’ll have to pick your cloud storage provider. Cloudberry offers a long list of solutions for you to choose from, which may make the process seem overwhelming for non-techies. 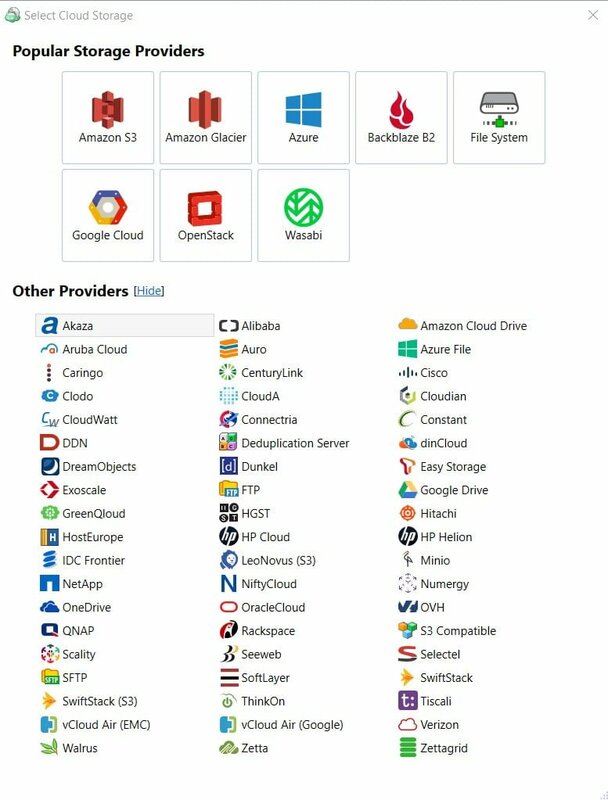 Besides the mainstream cloud apps, such as Amazon S3, GCP, Backblaze, and Microsoft Azure, you can use less-known services such as Alibaba, DDN, and HP Cloud, or simply upload the files to your own server via FTP. As mentioned earlier, you’ll need to provide your personal accounts for the backups. This is where things can get messy if you’re not a tech-savvy, as the app will ask you for some details such as the email, API key, etc. Nevertheless, just a quick Google search will show you how to retrieve the required information from your cloud service account. Besides, Cloudberry has a decent knowledge base that you can check if you get stuck. 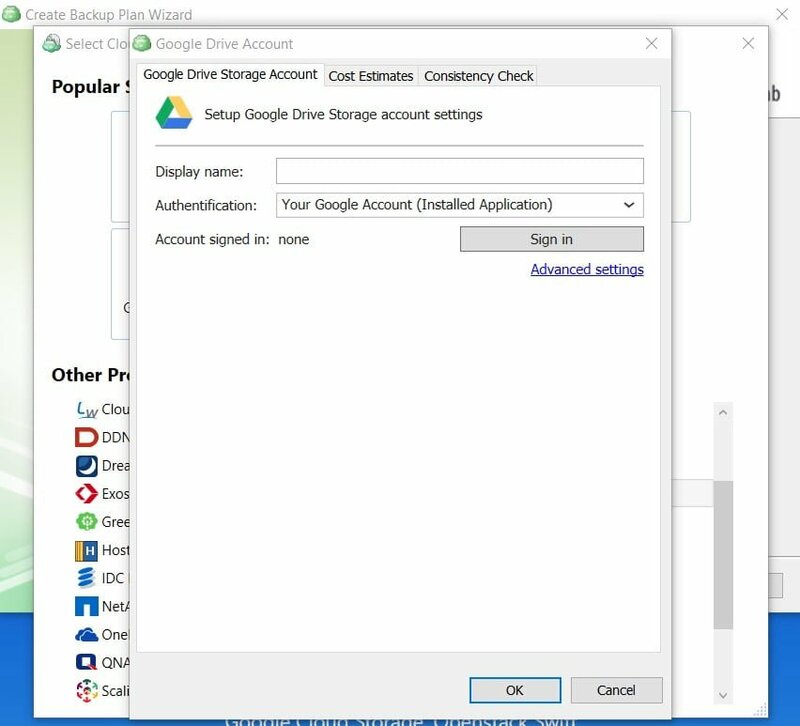 Certain cloud services, such as Google Drive (which we used while trying out the service), require nothing but a simple sign in into your account. 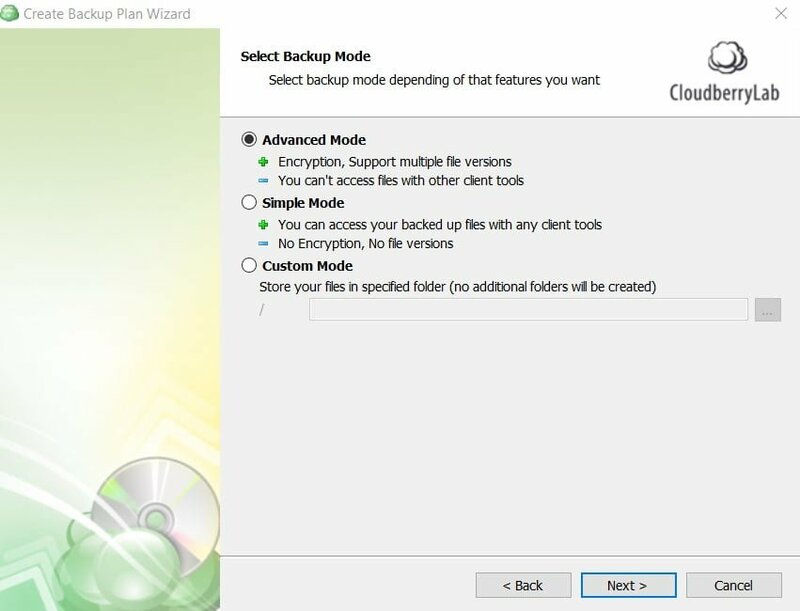 After selecting your cloud service provider, you’ll be prompted to name your backup plan then choose the backup mode. Here you can either go with Advanced Mode, which includes encryption, Simple Mode, which allows your files to be readable by other clients, and Custom Mode, through which you can store your data in a specified folder. Once you select the mode, you’ll need to pick which folder(s) you want to backup. Next, come the advanced scheduling and filtering options. 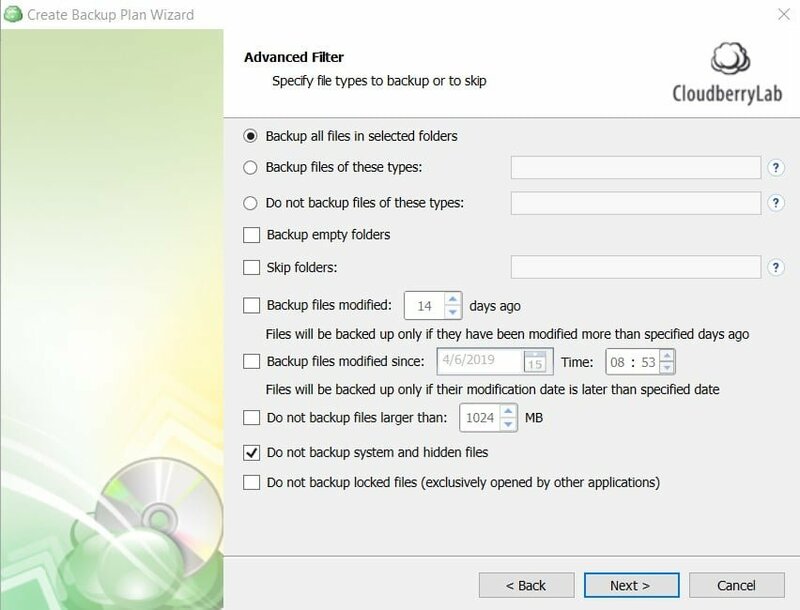 This is where Cloudberry Backup Ultimate gets another thumbs up, as the app offers different options that you can tweak and tailor to your needs and preferences. Through the Advanced Filter window, you can choose which specific extensions you want to back up, whether you want to backup hidden and system files or not, which folders you want to skip, etc. In the following windows, the app will ask you to specify your compression, encryption, and retention preferences. Enable real-time backup, which is basically an automatic backup in – hey, surprise! – real time. The ability to stop the plan automatically if it takes too much time is a nifty feature. You can even choose to run missed backups when your computer, which makes the app even more convenient. 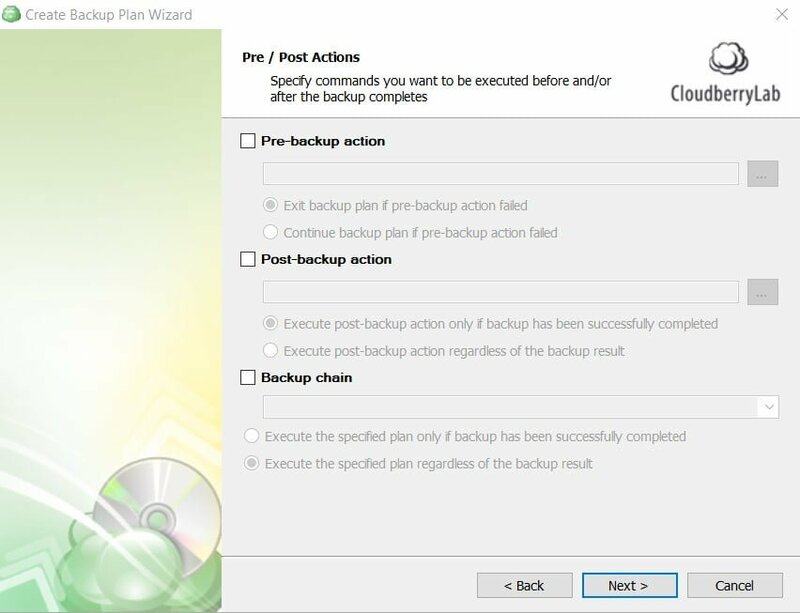 Next, you can choose specific actions to be performed either before or after the backup. Finally, you have to configure notification settings. 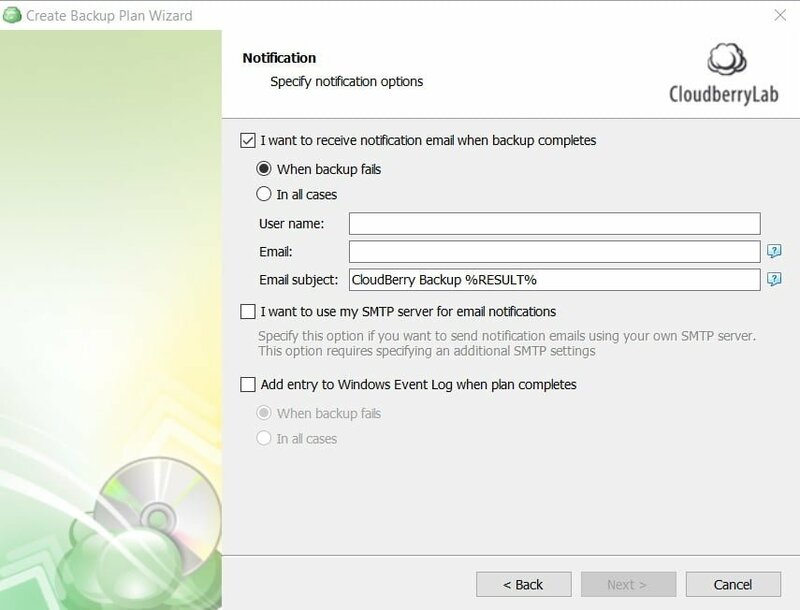 By default, Cloudberry Backup Ultimate will send you an email alert if a backup fails, but you can also choose to receive a notification – either through email or in the Windows Event Log – upon every successful operation as well. Congratulations, you made it, and your backup plan is ready to go. Once everything’s good to go, you can either run the plan immediately or wait until the next automatic backup. The plan creation process is long, but it’s justified. 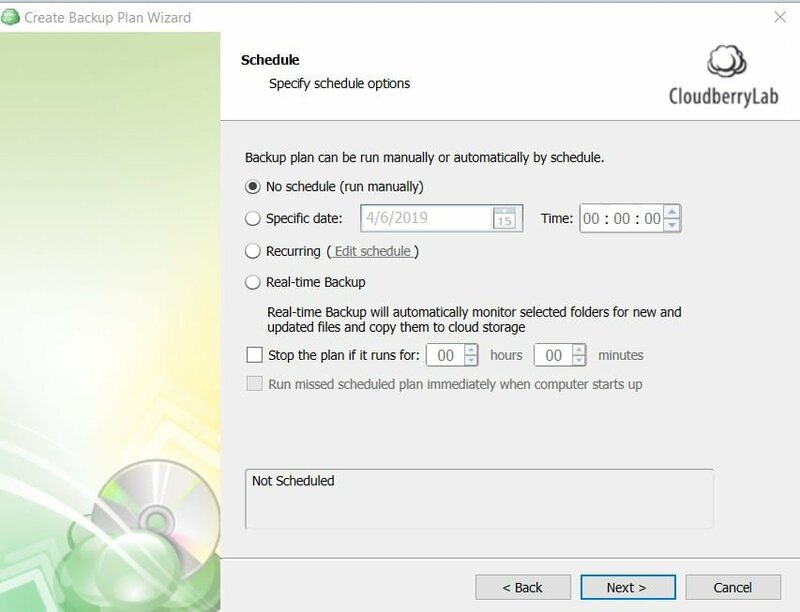 Cloudberry Backup Ultimate is mainly aimed at businesses and big players that need to tailor to every option and parameter to their needs, not for the simple user looking for a simple backup solution. Having said that, despite being long, the process is still straightforward and easy, and it shouldn’t be that hard for any kind of user. As the initial backup will most likely be a huge one, it will probably take quite some time. In our case, a 1-GB backup took around 30 min over a stable 4G connection. 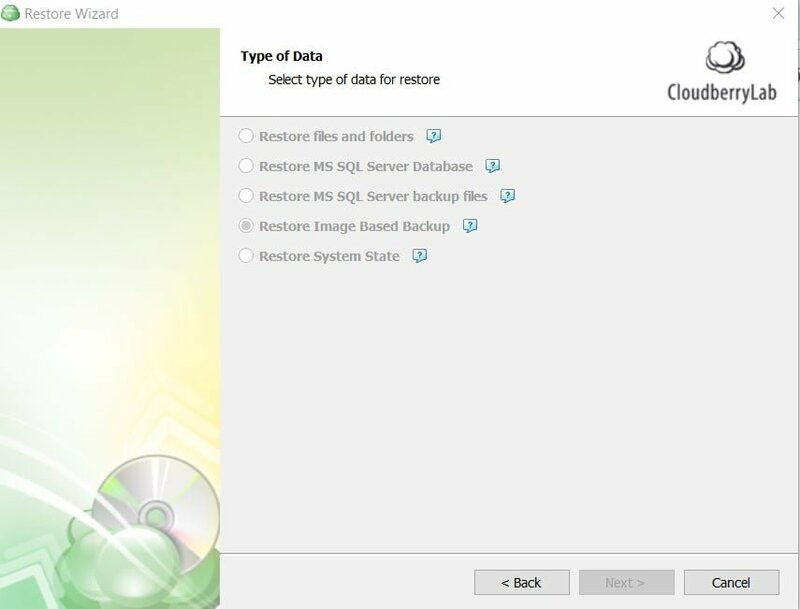 Restoring from the cloud is as easy as the backup process. 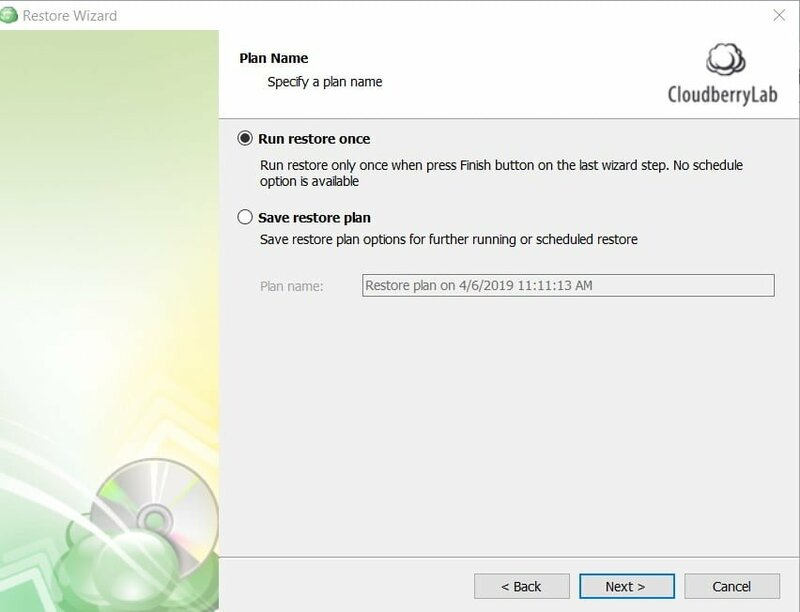 You can either restore your files directly through the backup console or set a restore plan, just like the one we created earlier but in the opposite direction. Once you choose the restore type, you need to select the restore point. You can either restore the latest version or choose a specific point-in-time. Finally, after determining which file(s) you want to restore, you have to pick if you wish to restore the files to their original location or to a new one. 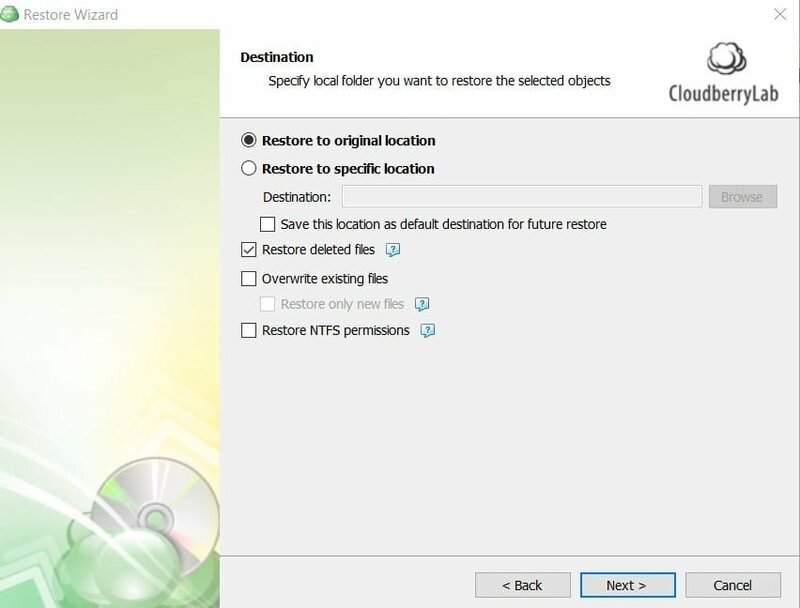 The restore process is as customizable as the backup process, and you can eve restore from one cloud storage to the other or create a bootable USB from a cloud service. 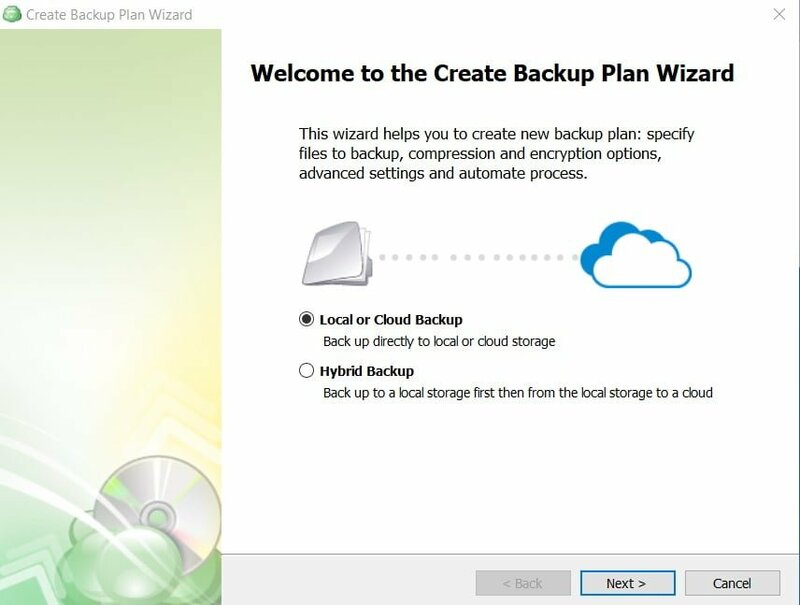 The management and organization aspects of Cloudberry Backup Ultimate are simply flawless. When testing the restore speed, we got pretty good results. The 1-GB sample folder that we uploaded initially was downloaded within a few minutes. Security-wise, Cloudberry Backup Ultimate does well. If you choose to encrypt your files, you’ll benefit from military grade, AES 256-bit encryption, which is the industry standard and a protocol that’s practically impossible to breach. The encryption process occurs on your machine, which should give you some ever-wanted peace of mind when sending your files away. As with anything good in life, encryption comes with a catch, as you have to bear the burden of managing your encryption key yourself. Should you lose it, your data will be as good as erased, as nobody can get it back, not even Cloudberry. Besides its encryption protocol, Cloudberry Backup Ultimate offers a ransomware protection features, which prevents unwanted encryption and sends an alert your way if your files are threatened by suspected ransomware. As for legal agreements, Cloudberry doesn’t stand as a service provider, but more of a middleman, which means that legal compliance issues are shifted to you and the third-party cloud storage services you use. Cloudberry Backup Ultimate offers several support channels. Should you face any issue, you can take a look at the FAQ on their website where they address most common problems. You can also check their knowledge base, which includes a handful of general and guide-type articles. Unfortunately, there’s no 24/7 or live chat support, which makes sense considering this is a one-time-fee app. If you don’t find anything helpful in the knowledge base/ FAQ, you can submit a ticket or call Cloudberry by phone. We filed a ticket Friday morning to test the support and got a response within 20 minutes, which is more than great. Other than the direct support channels, you can ask your question in the user forum, which contains a plethora of topics under which you can ask for help. Cloudberry Backup Ultimate costs a one-time fee of $299, but there’s one major detail that you need to keep in mind here; it’s not the program’s cost you should worry about, but rather the recurring fee of the cloud storage services you’re going to use. 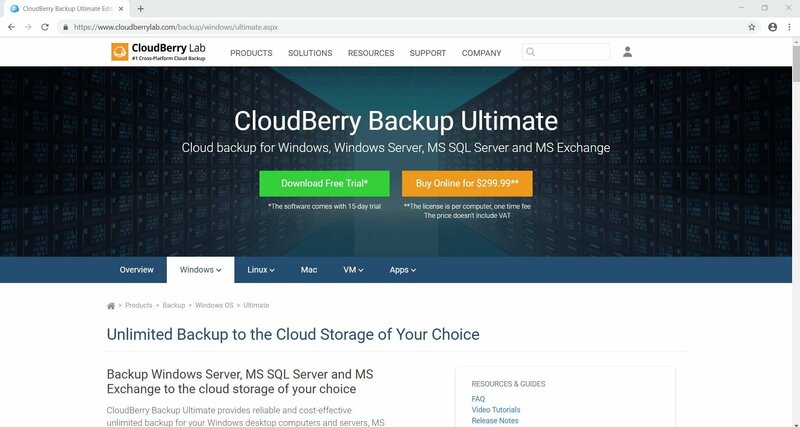 In other words, the price of Cloudberry Backup Ultimate isn’t final, and you still have to pay monthly or yearly for your cloud storage providers. 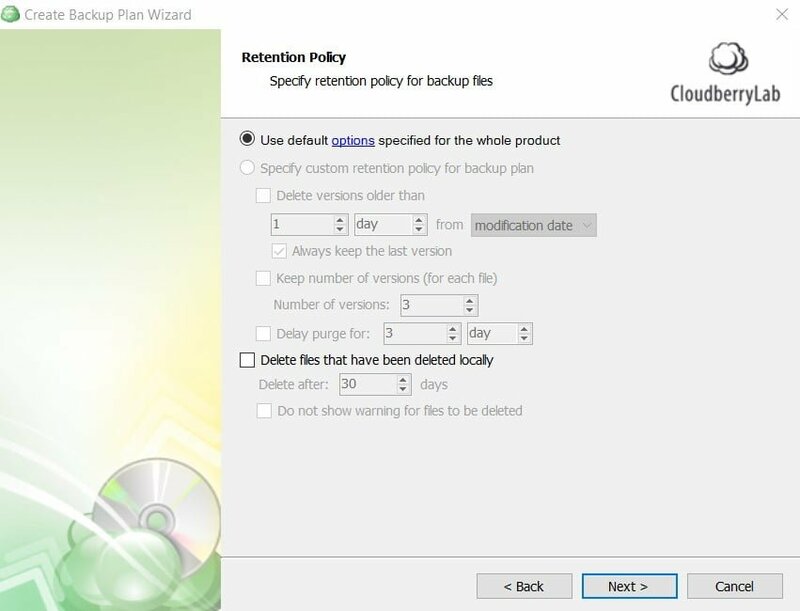 Besides the Ultimate edition, Cloudberry offers other plans for its backup managers to make sure that the program can fit the needs of a broad number of users. The Desktop edition costs $49.99, the Server edition costs $119.99, the MS SQL edition costs $149.99, and the MS Exchange Server license costs $229.99. There’s also a free plan for personal use, which comes with a handful of restrictions, as it limits your cloud storage providers to 200GB and doesn’t offer encryption or compression. 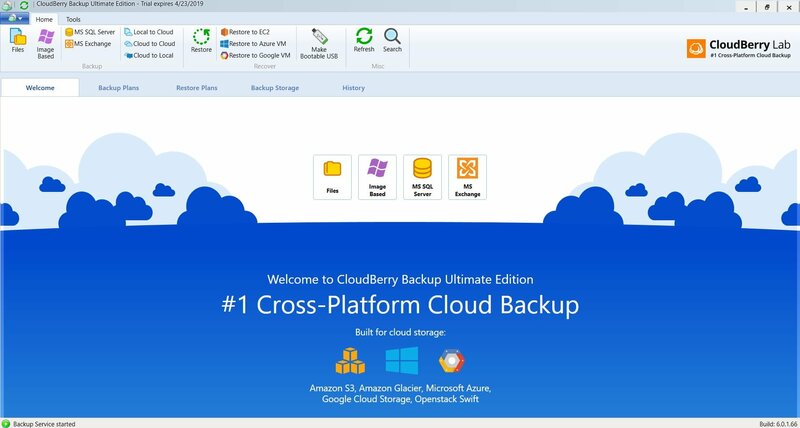 Let’s call a spade a spade, Cloudberry Backup Ultimate is not for the faint of heart, in terms of both price and features. Mainstream and non-techy users may feel more comfortable using a less complicated solution or backup apps directly. On the other hand, if you’re a power player or a business owner, Cloudberry Backup Ultimate will be more than enough for you to manage your backup processes from one dashboard. It’s customizable, it integrates flawlessly with different cloud services, and the pricing is reasonable (for businesses, that is). What else could you ask for?